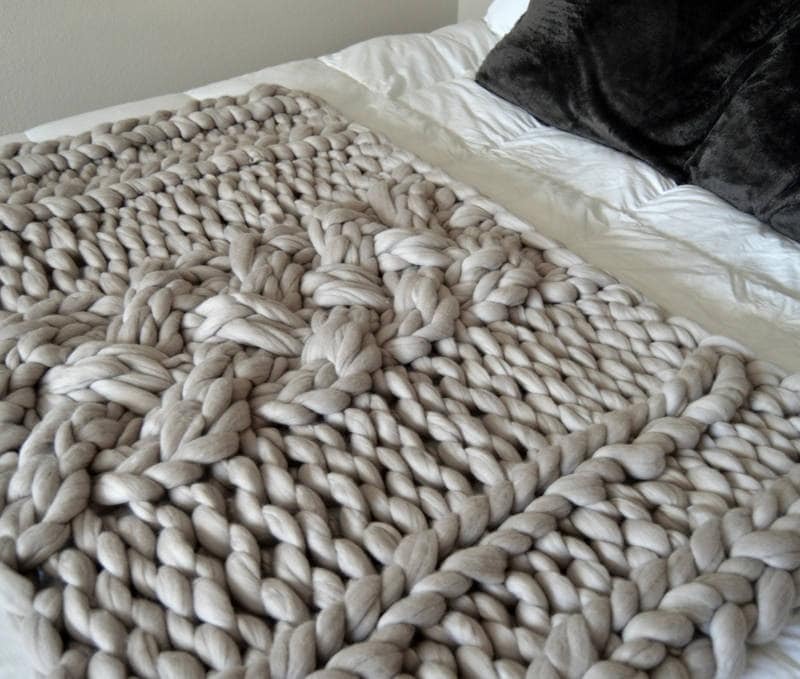 The extreme knitting blankets are exquisite and beautiful. 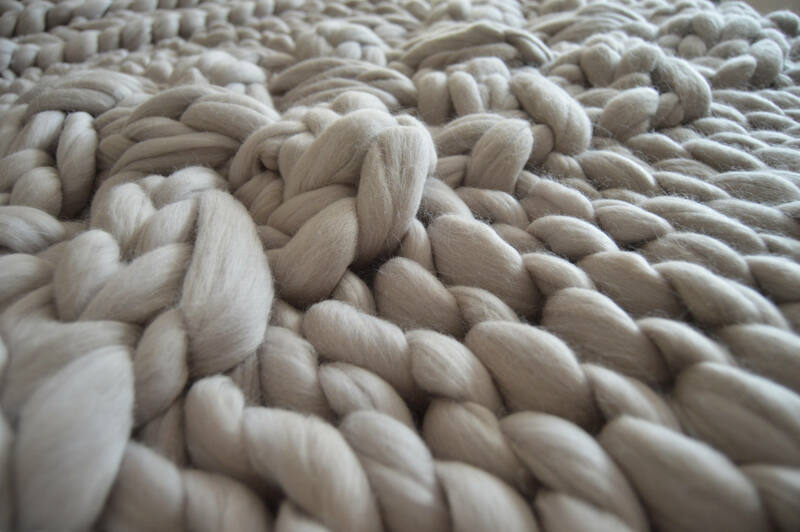 Working with soft fibers from Mama Knows Luxury is an experience all its own. 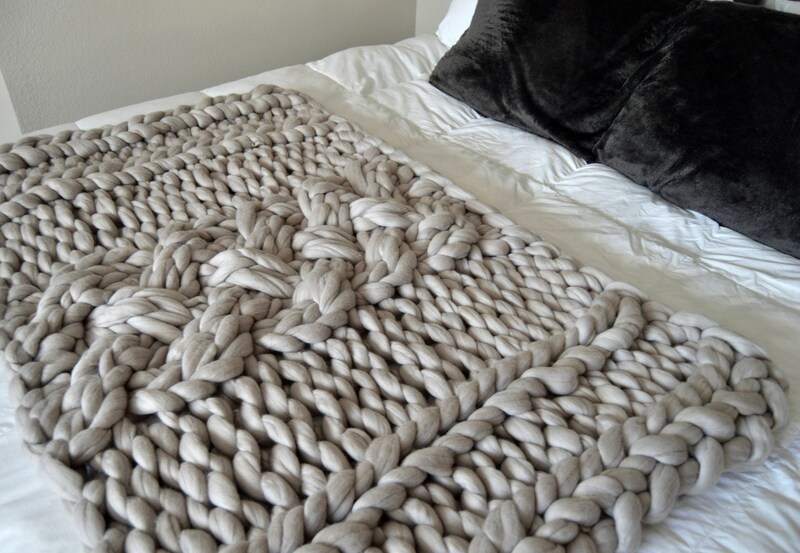 So, “Why Knot” take this extreme chunky blanket to the next level. 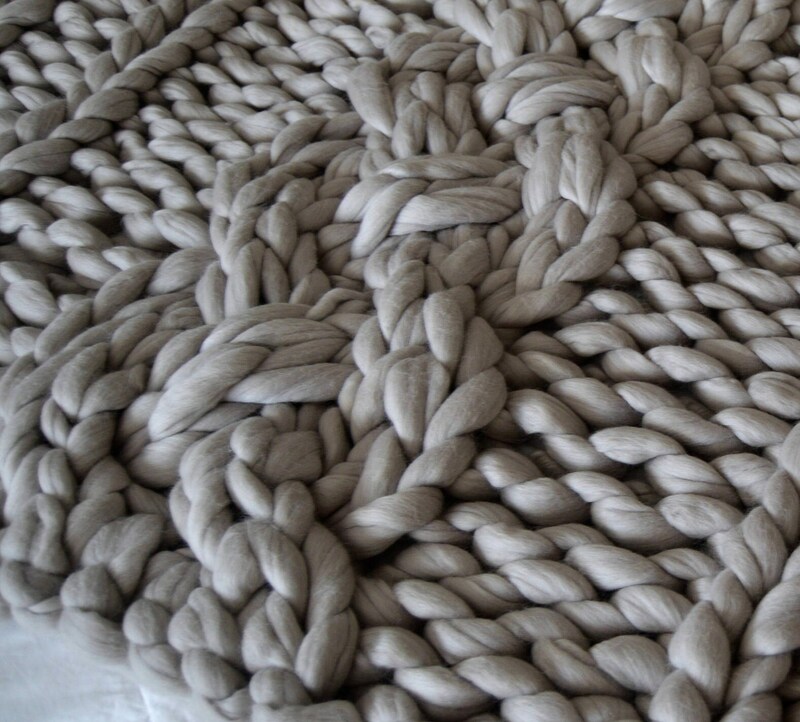 Hold those beautiful soft stitches and lets move them and twist them to create a statement piece with a breath taking cable. 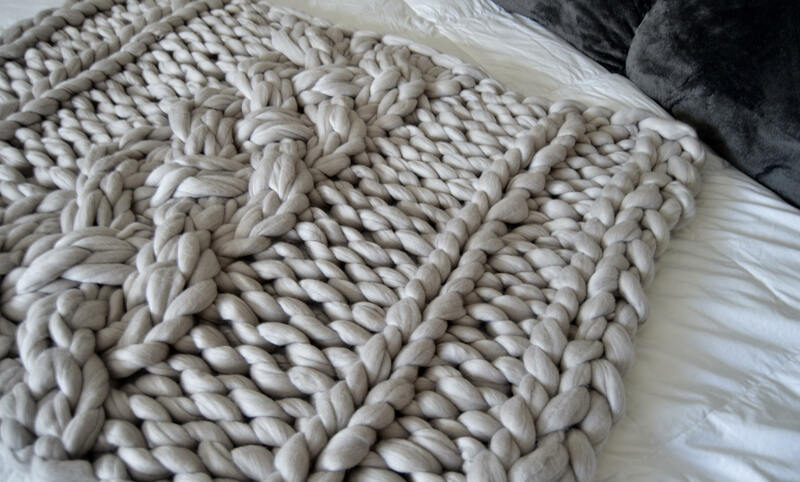 Don't be discourage, this cable is quite simple to create. 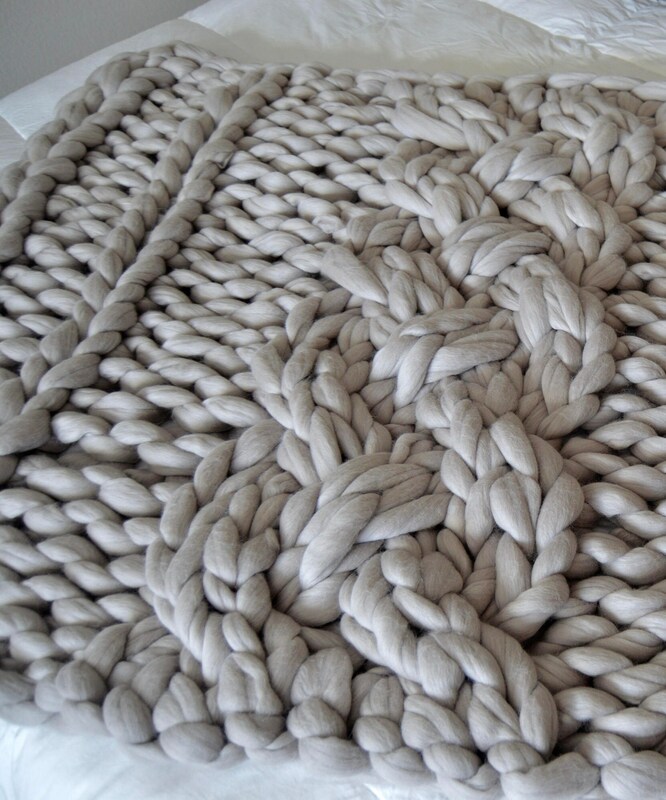 In no time you will have created your very own statement piece that will keep you cozy and warm. 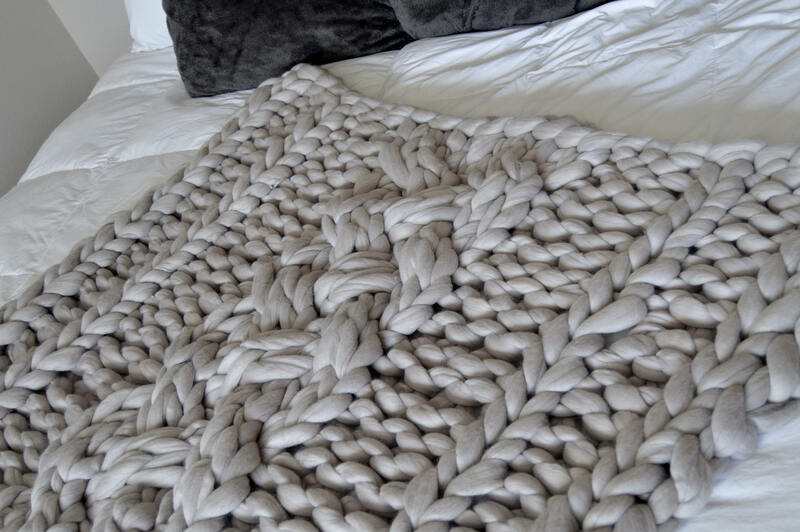 Lay it on your favorite chair or across your bed and add a statement piece to any room. 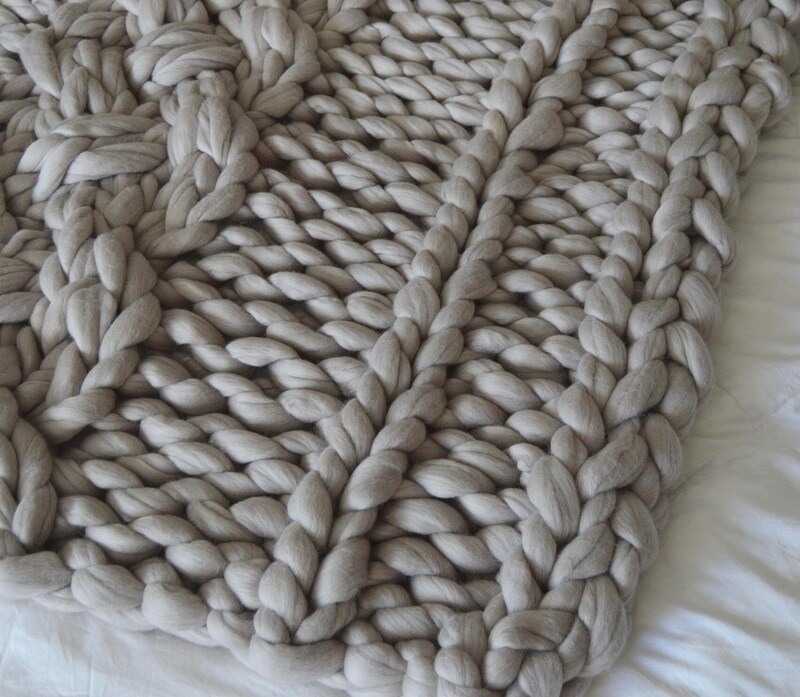 So grab your giant needles and your extreme yarn and lets have some fun. ~ Circular knitting needle size 43mm or your arms will work too. * Please do not sell this item, it is for personal use only. * Please note I do not take returns on patterns; do to the fact that it is an instant download item. Thank you for understanding. * The pattern and photographs of this garment are the property of ©Hanks And Needles. This pattern and design are subject to copyright, and are for personal, non-commercial use only. You may not distribute or sell this pattern or any items created using the directions in this pattern.